Imagine the Port of Los Angeles moved 10 miles off shore with ships docking at floating stations and cargo containers transported underwater from the coast via supersonic tubes. The coastal areas where the Port of Los Angeles used to take up miles of space has been transformed into parks, residential areas, office complexes and beaches. That is the future envisioned by L.A.-based startup Hyperloop One that is developing the technology to realize Elon Musk’s dream of moving passengers and cargo at supersonic speeds through evacuated steel tubes. Diamandis also confirmed to Business Insider that Hyperloop One is discussing underwater passenger travel. He said that there have been proposals to transport passengers underwater between Norway and Sweden. Hyperloop One is also involved in a partnership with a Russian company to build a Hyperloop in Moscow and possibly beyond and is exploring the possibility of a route between the Finnish capital, Helsinki, and the Swedish capital, Stockholm. 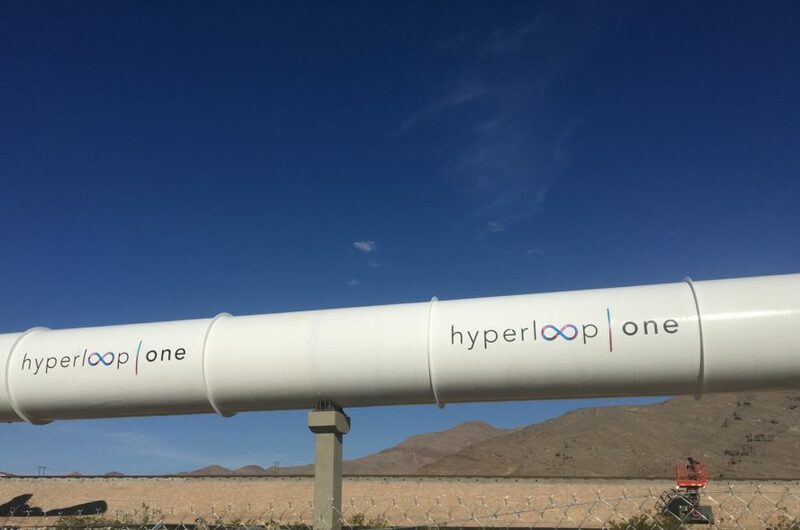 On May 11, Hyperloop One conducted the first live trial of the technology at a test site in the Nevada desert about 10 miles north of Las Vegas. The Propulsion Open Air Test (POAT) involved a sled that was propeled by electromagnets to a top speed of 115 mph (185 km/h) along a track measuring 1,500 feet (457 meters) long. If this replaces highways, for land animals it would prevent them from being run over. What about the OCEAN WILD LIFE? Presently, we are killing our OCEAN WILD LIFE with the cargo traffic, - SONIC destruction. Won't this increase under water noise? And who cares about the humans, we have enough of the world. SAVE some for the other wild life. Hyperloop One is interested in producing an underwater version of the system that could be used to move cargo to floating ports 10 miles offshore. Hyperloop One is developing the technology to make Elon Musk's dream of moving passengers and cargo at supersonic speeds through evacuated steel tubes a reality.